In 2018, Dynamic Water Technologies was a finalist for the Small Business Innovator of the Year Award presented annually by the Arizona Technology Council. This was their one-minute video shown to the event. SCOTTSDALE, Ariz.--(BUSINESS WIRE)--Dynamic Water Technologies saved thousands of gallons of water and cut operating costs at a federal building in Georgia as part of a government study to find alternative technologies to conserve energy and water. As a result, the report recommends governmentwide adoption of the company’s electrochemical process water treatment technology. In late 2018, the General Services Administration released a report based on a multi-month study at the 242,000 square-foot Juliette Gordon Low Federal Building in Savannah, Ga. The building has two cooling towers that used traditional chemical water treatment for the cooling water circulating through the two chiller condensers. The study took place from July to October in 2017. Researchers found that the system effectively treated the water without the expense of added chemicals and reduced water use by 32 percent. 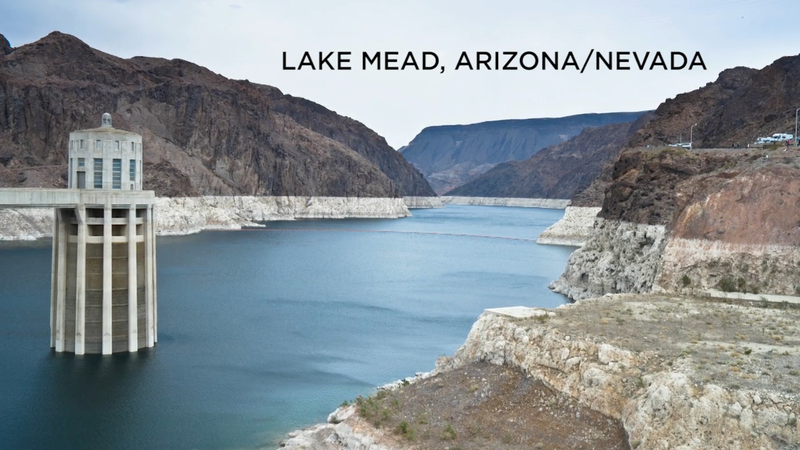 Mike Boyko, chief executive officer for the Scottsdale-based Dynamic Water Technologies, was not surprised by the results. He’s been working to convince businesses and government agencies for the past four years since founding the company about the incredible savings in water that DWT can help realize. Maintain very low corrosion rates. In all instances, Dynamic Water’s system met or exceeded expectations. Boyko said the results are similar at installations throughout the Southwest and worldwide that have installed and are using the electrochemical system to treat industrial process water. In 2018, Dynamic Water Technologies was a finalist for the Small Business Innovator of the Year Award presented annually by the Arizona Technology Council. 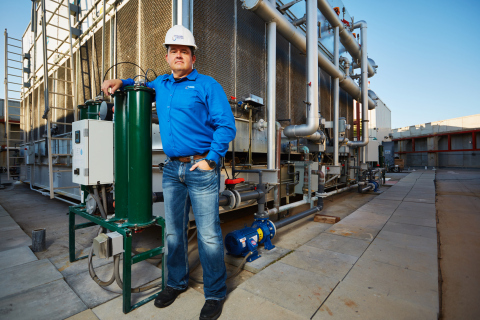 Dynamic Water Technologies is a Scottsdale-based company that provides electrochemical treatment of process water allowing businesses to use the water for 50-100 percent more cycles than traditional chemical-based approaches. Dynamic Water uses electrolysis to treat the water and release it back into cooling towers onsite without using acids or inhibitors and only a minimal amount of bleach. 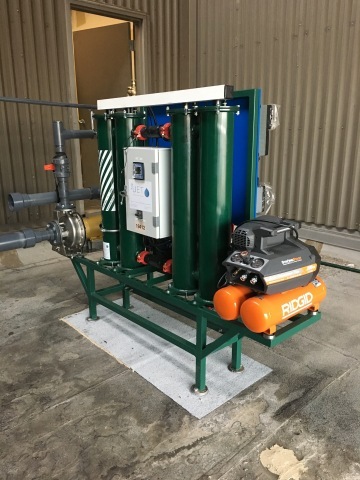 End users report significant savings in operational costs as a result of not using acids and inhibitors, not paying for disposal of contaminated water, using less energy than other treatment methods, and reducing water usage between 10-40 percent in cooling systems. Clients worldwide include NASA, Roche Molecular Systems, Los Angeles City Hall, Transwestern commercial real estate company and Gilead Sciences, Inc. Contact Dynamic Water Technologies at info@dynamicwater.com, or call (480) 289-2401.